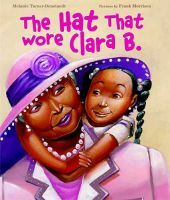 I am thrilled to report that the late Melanie Turner Denstaedt's The Hat that Wore Clara B. is on the Chicago Public Library's Best of the Best 2010 List. Any recognition for this lovely picture book is especially poignant, as Melanie passed away of cancer before the book was released. I know her family is very proud on her behalf! And still more congrats to Liz Garton Scanlon, whose All the World is also on that Chicago list, as well as the Texas Library Association's 2 x 2 Reading List—and it is still on the New York Times Children's Bestseller list, too! Another Notebook on the Way! Just announced! Laura Resau's third "Notebook" novel is officially underway. The Jade Notebook is a sequel to The Indigo Notebook, which debuted in the fall of last year and will be out in paperback this summer, and The Ruby Notebook, which will release this fall. All of Laura's books are published by Delacorte and edited by Stephanie Elliott, including her other novels, What the Moon Saw, Red Glass, the newly released Star in the Forest, and the forthcoming The Queen of Water, co-written with Maria Virginia Farinango. Indigo, called "an entertaining and suspenseful read" by School Library Journal, is set in the mountains of Ecuador, the latest home of 15-year-old Zeeta and her flighty mom, Layla, who can't stay put and moves them to a new home every year; Ruby is set in Aix-en-Provence, France, an enchanting city full of fountains, creamy yellow light, and a fascinating group of scarlet-clad street performers. Jade will be set in Oaxaca, Mexico, where Zeeta faces danger while trying to protect local sea turtles. All three books have mystery, adventure, folklore, magic, and romance ribboned through them, as well as the question of Zeeta's father—who he is, and whether he will let her into his life. Check out the February list of Movers and Shakers at Goodreads! C.J. Omololu's Dirty Little Secrets, "fascinatingly disturbing." The book was released in hardcover earlier this month from Walker & Company, and Cyn has been doing a heck of a blog tour to promote it. Have a peek at the links on her blog! They've done it again! Liz Garton Scanlon and Chris Barton's names are once again linked in award-land, as All the World and The Day-Glo Brothers take the fiction and nonfiction picture book categories in the 2009 Cybils (Children's and Young Adult Bloggers' Literary Awards)! Congratulations, Chris and Liz—what a happy Valentine's Day you two must have had! "Diribani has come to the village well to get water for her family's scant meal of curry and rice. She never expected to meet a goddess there. Yet she is granted a remarkable gift: Flowers and precious jewels drop from her lips whenever she speaks. "It seems only right to Tana that the goddess judged her kind, lovely stepsister worthy of such riches. And when she encounters the goddess, she is not surprised to find herself speaking snakes and toads as a reward. "Blessings and curses are never so clear as they might seem, however. Diribani’s newfound wealth brings her a prince—and an attempt on her life. Tana is chased out of the village because the province's governor fears snakes, yet thousands are dying of a plague spread by rats. As the sisters' fates hang in the balance, each struggles to understand her gift. Will it bring her wisdom, good fortune, love . . . or death?" I can't wait to see what other good news awaits this one! Two stars for Star already! Laura Resau's middle-grade novel Star in the Forest, which debuts next month from Delacorte, has received lovely starred reviews from Booklist and School Library Journal. SLJ called it "a well-told and deeply satisfying read," and Booklist hailed it as "an unforgettable narrative of a girl's daily struggle to find a home," comparing it to other migration stories by Francisco Jiménez and Pam Muñoz Ryan. Three months ago, Richie Partington of Richie's Picks gave Star a wonderful review, as well: "I find it a [rare] discovery to come across such an important-yet-sweet book that will be embraced by third, fourth, fifth and even sixth graders, one that deals so incredibly well—on a level appropriate for younger readers —with issues of friendship and poverty and borders and of not making assumptions about people you don't really know." You can see more about Star in the Forest and read a brief excerpt on the book's page at Laura's website. Abigail Iris Goes to Turkey! Artemis will be publishing Abigail Iris: The One and Only and Abigail Iris: The Pet Project, by Lisa Glatt and Suzanne Greenberg, in Turkey! The deal was brokered by Bloomsbury USA, parent company of the books' U.S. publisher, Walker & Company. The One and Only released in the U.S. last year to good reviews (Kirkus called it "a sweet slip of a story" and Booklist found it "engaging"), and the paperback releases this month; The Pet Project debuts in March in the U.S. and already has a nod from Kirkus, which said “Abigail Iris is just as happy-go-lucky as she was in the series opener, Abigail Iris: The One and Only....This chapter-book text lilts along like the first, frequently accompanied by [Joy] Allen’s cozy sketches." We are thrilled to see My Big Fat Manifesto, by Susan Vaught (published by Bloomsbury), on the 2010 list of Popular Paperbacks for Young Adults recognized by a committee of YALSA, the Young Adult Library Services division of the American Library Association. Each year YALSA recognizes books in a few categories; this year, the category that recognized My Big Fat Manifesto was "Bodies" ("They come in all shapes, sizes, and abilities...love it or hate it, you only have one body"). Another of the paperback lists this year was "Twists on the Tale" ("The times may change, but the tales remain eternal. Classic literature and folktales are given a makeover in these retellings. "), and we are very pleased that Janette Rallison's My Fair Godmother (published by Walker & Company) was included. YALSA also produces a list of Amazing Audiobooks for Young Adults, and happily, The Indigo Notebook, by Laura Resau (published by Random House), is included there. The Indigo Notebook will be coming out this summer in paperback with a brand-new cover (on the right, above)—isn't it stunning?